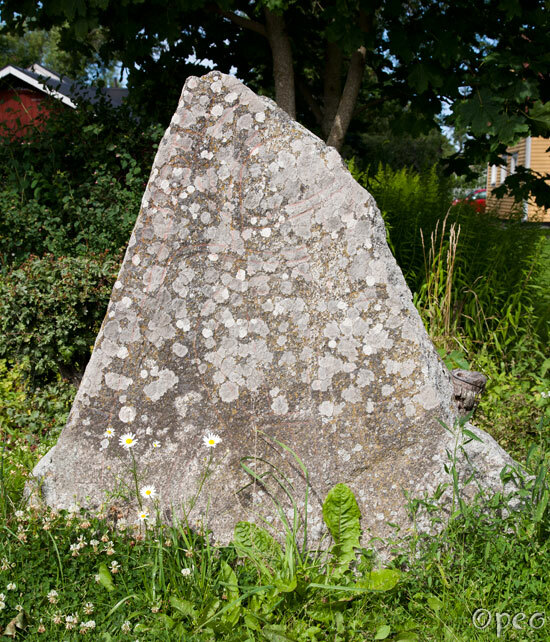 Ingifríðr/Ingríðr had the stone erected in memory of Þórðr, her brother. Holmgeirr had the landmark made in memory of Holmsteinn. It's standing next to the road in an area with loads of rune stones. If you point at the picture, you'll see a close-up of the upper part of the stone, where I have enhenced the colours.